Susan Opotow is a Professor at the City University of New York on the faculty of the Sociology Department of John Jay College of Criminal Justice and the PhD Program in Critical Social/Psychology at The Graduate Center. She received her PhD in Social and Organizational Psychology from Columbia University. She served as 2009 President of the Society for the Psychological Study of Social Issues, Editor of Peace and Conflict: Journal of Peace Psychology (2010-2013), and is a Fellow of the American Psychological Association. Her research on shifts in the scope of justice in exclusionary and inclusionary directions has produced a body of work on social injustice and societal change in environmental, schooling, and post-war contexts. Clayton, S., & Opotow, S. (Eds.). (2003). Identity and the natural environment: The psychological significance of nature. Cambridge, MA: MIT Press. Fallis, R. K., & Opotow, S. (2003). Are students failing school or are schools failing students? Class cutting in high school. Journal of Social Issues, 59(1), 103-119. Honoroff, B., & Opotow, S. (2007). Mediation ethics: A grounded approach. Negotiation Journal, 23(2), 155-172. Opotow, S. (in press). “Not so much as place to lay our head…”: Moral inclusion and exclusion in the American Civil War Reconstruction. Social Justice Research. Opotow, S. (2006). Rationalities and levels of analysis in complex social issues: The examples of school overcrowding and poverty. Social Justice Research, 19(1), 135-150. Opotow, S., Gerson, J., & Woodside, S. (2005). From moral exclusion to moral inclusion: Theory for teaching peace. Theory Into Practice, 44(4). Opotow, S., & Khaminwa, A. N. (2002). On the battlefield. [Review of the book, War and gender: How gender shapes the war system and vice versa by J. Goldstein, Cambridge University Press]. Psychology of Women Quarterly, 26(4), 381-382. Opotow, S., & McClelland, S. I. (2007). The intensification of hating: A theory. Social Justice Research, 20(1), 68-97. Opotow, S. Seeking inclusion and pluralism: Two exploratory studies. Peace and Conflict, 12(4), 349-366. Opotow, S. (2006). Aggression and violence. In M. Deutsch, P. Coleman, & E. Marcus (Eds. ), Handbook of conflict resolution: Theory and practice (2nd ed.). San Francisco: Jossey Bass. Opotow, S. (2005). Hate, conflict, and moral exclusion. In R. J. Sternberg (Ed. ), The psychology of hate. Washington, DC: American Psychological Association. Opotow, S. (2004). Conflict and morals. In T. A. Thorkildsen, J. Manning, & H. J. Manning (Eds. ), Nurturing morality. Urbana, IL: University of Illinois Press. Opotow, S. (2002). The psychology of impunity and injustice: Implications for social reconciliation. In M. C. Bassiouni (Ed. ), Post conflict justice. Ardsley, NY: Transnational Press. Opotow, S., & Brook, A. (2003) Identity and exclusion in rangeland conflict. In S. Clayton & S. Opotow (Eds. 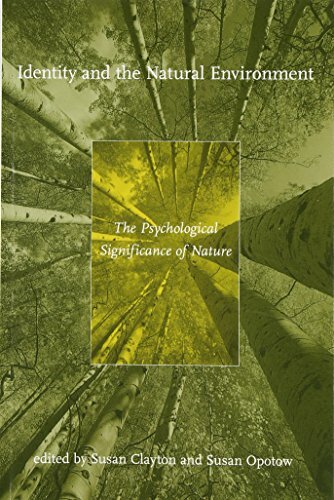 ), Identity and the natural environment: The psychological significance of nature. Cambridge, MA: MIT Press.